Nowadays, everybody says that science fiction has stopped talking about Big Ideas. Science fiction used to be the genre that asked the huge questions, about who we are and where we're going. But somehow, people say, the genre lost its appetite for deep thoughts. But if you've been keeping up with recent science fiction books, you already know it's not true. Here are 10 great science fiction novels, published since 2000, that raise huge, important questions. Top image: Detail of Hungarian cover of Robert Charles Wilson's Spin. To compile this list, we asked you to name your favorite 21st Century science fiction novel about ideas, over on our Facebook page. You named dozens of books, but here are the ones that cropped up the most or seemed the most significant. The premise of this book is already a "big idea" — the Earth is surrounded by a weird membrane that slows things down so that a minute on Earth is a century or more outside. But then the novel goes on to explore other big ideas that come out of that, including the role of religion, and how knowing about the end of the world changes people's notions of faith. The questions get even bigger after humans terraform and colonize Mars, with Martian civilization becoming ancient and sophisticated pretty much overnight. 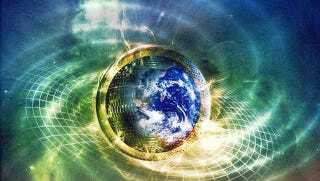 By the time you find out what's really going on, you're dealing with huge notions about the rise and fall of civilizations, on a cosmic scale. We were kind of surprised to see people mention this one — but it really fits, once you think about it. At first blush, Shteyngart's acclaimed novel is just what it sounds like: an unhappy love story between a man and a woman, set in the near future. But the dystopian near future that Shteyngart creates is detailed enough to become immersive — and when he gets around to depicting the collapse of the U.S. economy and the resulting chaos, then his main characters are faced with impossible choices. Which do, in the end, bring up some huge questions about the nature of love, among other things. This book totally rocked our brains, with its clever take on a more organic development of artificial intelligence, in which play and interaction are both important. But this novella is also one of those stories where you think you know where it's going — but you keep being wrong, because Chiang has a lot of tricks up his sleeve. And a lot of those tricks turn into examinations of huge, searching questions about the nature of consciousness and existence. The "owners" of these burgeoning A.I. creations face some tricky ethical dilemmas — and those aren't what you expect, either. A lot of books about artificial consciousness aim to uncover something about the human mind, along the way — but Lifecycle manages to say interesting stuff about the nature of love and personhood, too. As Amie says, Feed is "about bloggers, viruses, and politics. Oh, and zombies are in there for fun." We loved the thoughtful worldbuilding in this book, and the way in which Grant creates a believable zombie virus as well as a transformed media landscape. But the big idea in this book has more to do with the role of the media in society, and the politics of an embattled, paranoid world where everybody is isolated but connected online. This indie bestseller has gotten rave reviews, for its relatable characters and its exploration of the human condition. In Wool, a disaster has left the outside world uninhabitable, and the last survivors live inside a cramped silo, unable to leave without dying. Despite hundreds of years underground, the people in the silo still suffer from claustrophobia, and people argue over what kind of society to have within their subterranean prison: one based on openness, or one based on secrecy. Some of [Watts]' questions include What is the nature of consciousness? and, more important, What is its value? Is self-awareness a survival trait, or is it an evolutionary dead-end? If we meet intelligent aliens, will they think? Will they be something completely different from our own self-aware, gene and DNA-based model? Throughout the book the author tinkers with the whole concept of mind and self-awareness. In Vinge's brilliant novel, an elderly man who's been medically restored to full mental functioning is faced with a bewildering world of ubiquitous computing, where everybody is immersed in cyberspace all the time. The novel deals with a lot of themes of ubiquitous surveillance — but also delves into the huge idea that whoever controls our fantasies controls society. Believers in two different iconographies, a Pokemon-esque world and a Terry Pratchett reality, battle to control the UC San Diego library, while book lovers fight against a scheme to digitize all of the library's books in the most destructive way possible. It's all about the battle for control over culture, and how that shapes us in an age where the symbolic invades the "real" world to an amazing degree. This tale of science monks on another world is cool and action-packed, but also thought-provoking. By reversing the arrangement of science and religion in our world, Stephenson manages to ask huge questions about the relationship between the two. As we wrote in our review: "At the same time, Stephenson suggests a new way of looking at science: Not as a bunch of guys hawking operating systems, but as a group of holy people whose work is profound enough to transcend time. It's impossible to convey how gorgeous and bewildering this view is for those of us who've been trained to view laboratories as the opposite of monasteries." Not only that, but a lot of the book's action turns on the question of what makes an "ideal" world. As we wrote last year, "Together, these biotech apocalypse novels tell the story of what happens when two mad scientists decide to save the planet by replacing humanity with a more environmentally-friendly intelligent species. Set in a future where genetic engineering is commonplace, and the super rich extend their lives with spa treatments, the two novels show us how a horrific, humanity-destroying plague affects both the rich as well as a commune of radical environmentalists." These books look at the nature of creation, but also what it means to play God. This "fixup" of nine short stories previously published in Asimovs follows three generations of a family through the 21st Century, from a somewhat familiar world to one that's utterly transformed. Stross packs the book with ideas that fly at a furious pace, but equally important is the overall sense of strangeness and vertigo that suffuses his weird future. Not content with giving us the Singularity, Stross also reconfigures our entire solar system — and along the way, challenges our ideas about the evolution of civilizations. Thanks to Marc Casiano, Jim Hansen, Michael Brandini, Sara Crow, John M. Trobare, Rafi Samuels-Schwartz, Tom Sobieski, Lea Sheler Evans UE, Jim Jonez, Dianne Buss, Seth Simonton, Thomas Geffroyd, Samantha Brandt, Marc Cram, Lisa Kadonga, Jessa Delynn Avalos, Maui Porter, Kristin Harper, Michael Oransky, Geoff Schmidt, Roxanne Svetlanna, Nick Veazey, Jeff Knockaert, Bill Clements, John Schwartz, Yohani Kamarudin Menezes, Nick Davis, Rick Cox, Ryan J. Clifford, Vilmarie Vega, Steve Ammidown, Andrea Seeger-Friesen, Kathryn Vinson, Amie Cross, Michael Yee, Matt DeBoer, Ian Williams, Dan Reid, Peyton Farquhar, Braulio Rivera, Jamie Scarborough, William Moates, Matt A. Hirsch, Randall Ensley, Liz Rad, Deborah Culmer, John Curtis, Christopher John Chater, Therese Olsimar, Todd Waters, Derek Conkle-Gutierrez, Bernard Joseph Martino, Micki Jones Byrnes, Jamie Romanowski, Chris Braun, Jim Wisniewski, Jasper Moyer, Dylano Beckre, Patricia Acks, Nathan H. Dayton, Robert SaintJohn, Jason Stanfield, Jeff Brown, John Persing, Austin Sheehan, Stacy Lue, Ken Wermann, Austin Sheehan, Miguel Freeman Majortom, Alex Kvares, Zach Thomas, Haris Durrani, Diane Barnett, Stevie Book, Shawn English, Diana Andrew, Dragan Bilic, Ryan McCoy, Patrick Geberth and everyone else who suggested stuff!